Sophie is a designer interested in exploring the positive outcomes her profession can contribute by addressing complex societal issues. Her interests lie in a range of topics, from public healthcare systems, to the impacts of food production and the experience of cultural belonging. In Montreal, she studied visual arts to then apply her creativity in the Industrial Design undergraduate program at Université de Montréal. During this time, she learnt product design skills which made her question her role in society. 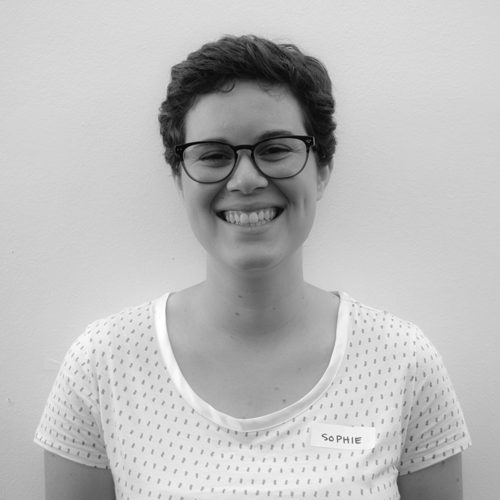 During her experience as a research assistant for Design et Societé, Sophie was enamoured by design-led research, social innovation, service design and interaction design. She has gained knowledge in these fields through her studies as well as her work on co-design workshops for the City of Montreal Libraries and her involvement in a Social Design Lab in Curitiba, Brazil. She is currently broadening her horizons by pursuing an MFA in Transdisciplinary Design at Parsons The New School for Design in New York City.